This article will cover the second installation of my 2015 House Cleansing Ritual! Previously, I spoke about creating protective ashes. The next post will be the master post that covers everything we did that day. 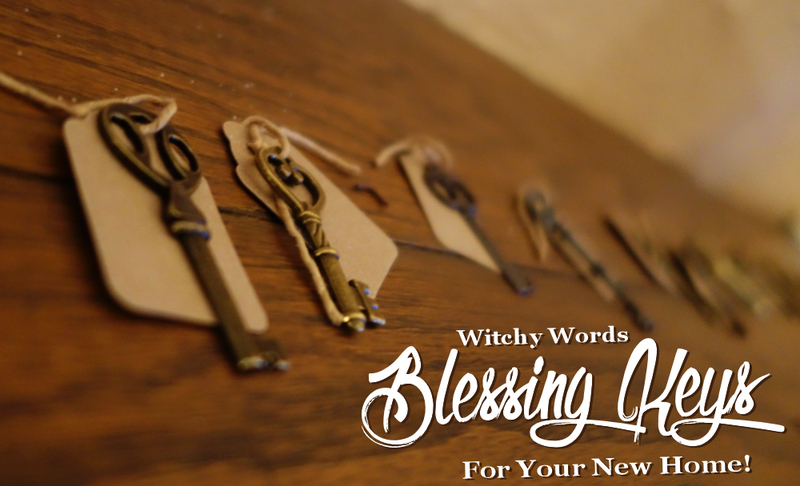 But today, I want to talk about a simple activity that can help bring good things to your new home: Blessing Keys! Keys are the perfect symbol for your new home. 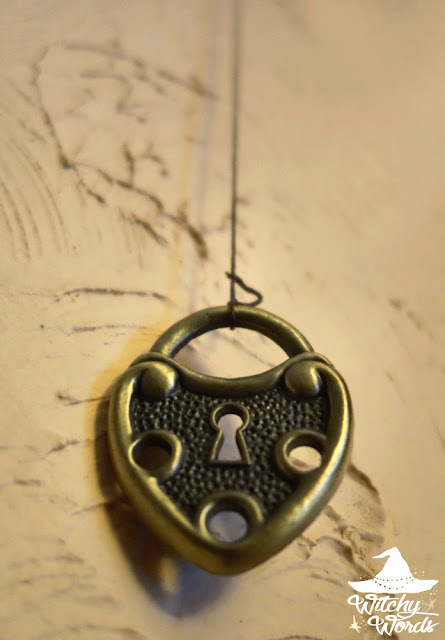 They're a balance for the new and old, unlocking the mysteries before you and protecting what you already have. For this reason, keys can serve as both blessing and protection charms. They almost already seem to have their own inner magick, particularly when you look at older skeleton keys. This is why I chose to theme my house cleansing ritual with antique keys! For this portion of the ritual, my husband, our roommate and I charged a small heart-shaped lock charm with our own personal energies and all the well wishes we had for our new home. I then hung that in the middle of the wall right next to our front door. On the built-in China cabinet were several keys with small, blank tags. A note that faux antique keys are incredibly easy and cheap to get your hands on! I found all of my keys at our local craft store at $1 for six of them. Between the tags and the $1 lock charm, I maybe spent $6-7 for this project for fifteen people to participate. Above them were pre-hung strings. I decided to hang them before ritual rather than during because I had decided I wanted the keys to hang at random heights. The strings were also hanging rather high for those of us with shorter heights. It also saved time for an already fairly involved ritual. Stringing them also allowed me to go ahead and hang a key we got before ritual from a fellow Witchy Words reader - Thank you, Alice! I asked each person to lend their energy to the key, charging it with both thoughts of protection and blessing. On the tag, they could write any symbol they thought best represented their well wishes for the new house. They then hung them one by one on the strings provided. The end result was not only a lovely decoration for the home but a fantastic combination of protecting and blessing from the circle right next to our front door! Simple and easy. Coming up soon: Our 2015 House Cleansing Ceremony Master Post! I love this idea and will incorporate something similar when I move to my new home....I have a jar full of old antique keys.